AMD's Ryzen CPUs offer some of the best bang for the buck, but which is best? AMD knocked it out of the park with the first and second generations of its Ryzen CPUs built upon the Zen and Zen+ architecture. It certainly helped wash away the taste of its less-than-stellar Bulldozer chips that launched in 2011. Ryzen provides far better per-core performance, power efficiency, and support for more modern technology. But that makes it harder than ever to decide which one to buy. The Ryzen family is broken into four distinct branches, targeting the entry-level, mainstream, performance, and high-end enthusiast sectors of the market. They’re all great chips in their own way, but some certainly offer more value than others and for many, the most powerful chips will be complete overkill. Before upgrading though, you may want to consider that AMD announced its next-generation Ryzen 3000 CPUs at CES 2019. They are set to launch in mid-2019; Individuals looking for superior power on desktops and longer battery life on notebooks might want to hold out until they are available. If you do want to buy a Ryzen-based system or CPU now though, we’ve broken down the chips into their respective segments and made our recommendation for the best chip in each to help you decide which is right for you. As with every hardware recommendation though, make sure to apply our suggestions to your own personal situation before making your decision. Alternatively, check out our list of the best AMD CPUs you can buy right now. AMD has always offered great value for money at the lower end of the CPU spectrum and that old adage is just as true with its Ryzen CPUs. 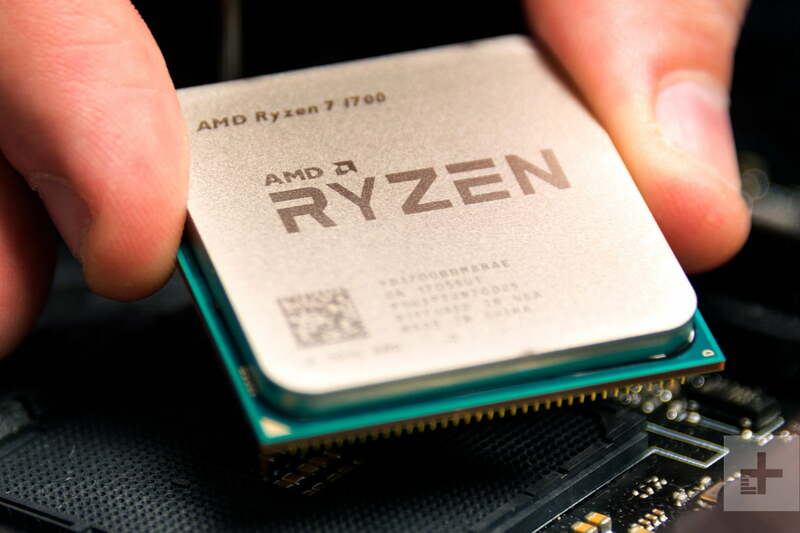 AMD offered a wide range of budget-conscious chips with its first Ryzen CPUs, including great standouts like the Ryzen 3 1200 and Ryzen 3 1300X. When we paired them up with an MSI Gaming X RX 580 and the beefy Zotac GTX 1080 Ti AMP! Edition, we found them to be very capable. 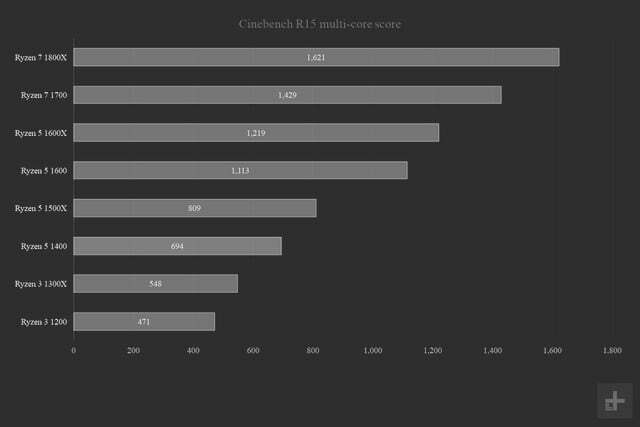 The 3DMark synthetic results delivered what we would expect: better CPUs provided higher scores. 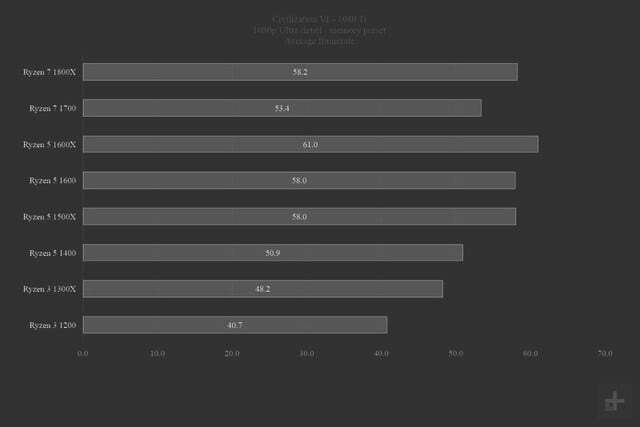 But in gaming tests, the 1200 and 1300X showed themselves able to deliver solid frame rates that were in many cases, pretty close to much more expensive Ryzen CPUs. These chips are still available in some places, but they have now largely been replaced by AMD’s second-generation Ryzen CPUs. However, AMD’s Ryzen 3 chips in the Zen+ generation are actually accelerated processing units (APU), which means they come with an onboard graphics processor as Intel CPUs do. The Ryzen 3 2200G offers Ryzen 3 1200-like performance and its GPU can offer much better entry-level gaming than a comparable Intel chip. Considering the 2200G can be had for under $100, it makes for a perfect entry-level gaming chip and its four cores mean it’s great for basic multitasking and work too. 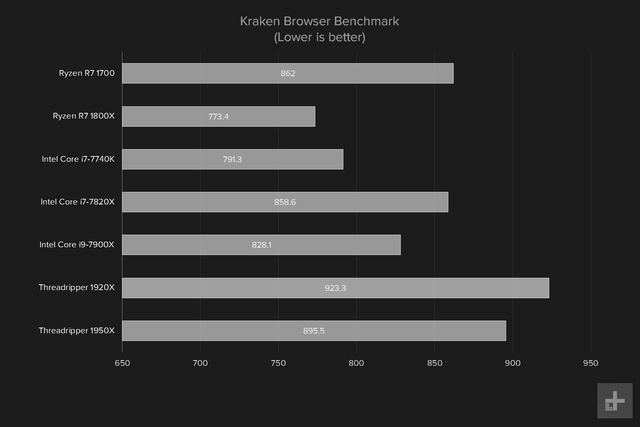 If you have a graphics card in mind or plan to overclock, you could opt for the 1300X. It’s a little more powerful at stock speeds thanks to its 8MB of L3 cache and an overclock would give increase its performance lead, but it is more expensive at around $130. 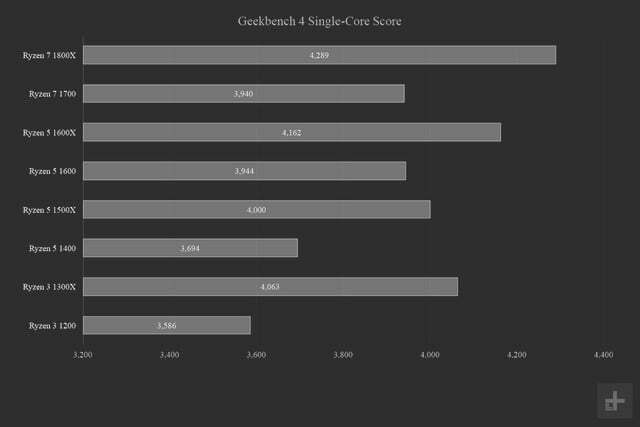 This price bracket is where AMD’s Ryzen CPUs really shine, offering amazing multi-core performance, fantastic gaming power, and in many cases far greater value for money than their Intel counterparts. 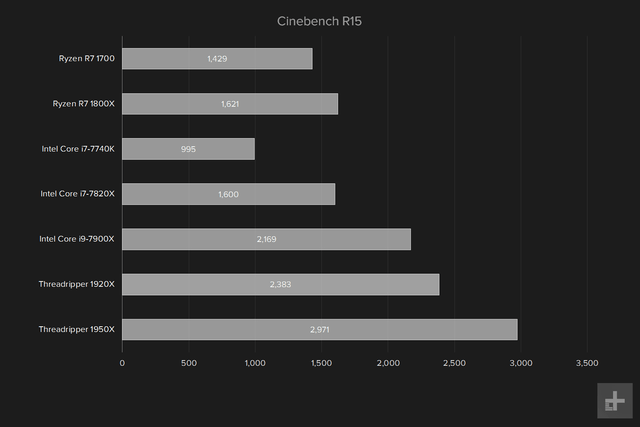 The first-generation Ryzen CPUs introduced a number of options, from the Ryzen 5 1400, through the 1500, and 1600 as well as “X” versions with greater overclocking potential. 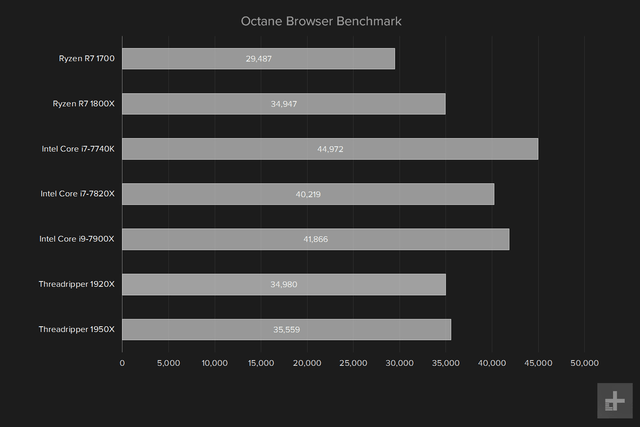 The second-generation streamlined that a little more, with just the 2500X, 2600, and 2600X as options, but they offered even greater bang at a comparable price point. The 1500 and 2500 come with four cores and eight-threads, thanks to simultaneous multithreading, while the 1600, 2600, and their “X” variations offer six cores and 12 threads, for vastly improved multithreaded performance. 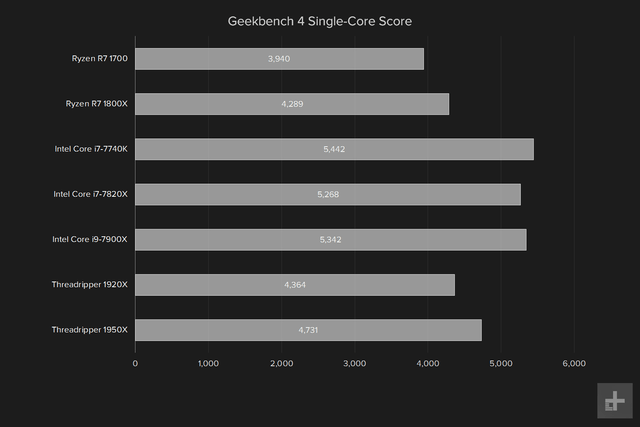 In our testing of the first-generation Ryzen CPUs, it became apparent that the 1600 was the best mid-range gaming CPU and that’s much the same with the 2600. 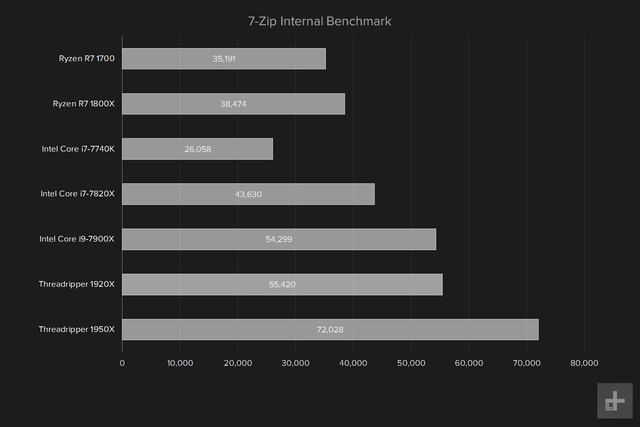 Although the 2600X offers greater performance thanks to its higher clock speed, as with all Ryzen CPUs, the 2600 can be easily overclocked and most users report reaching frequencies that are close to, if not as high as, the 2600X without much effort. The 2600 can be had today for under $170 and it comes with a cooler too. While we’d suggest getting something a little more capable than the stock option, whether you do or don’t, the 2600 is the best mid-range Ryzen CPU you can buy today. 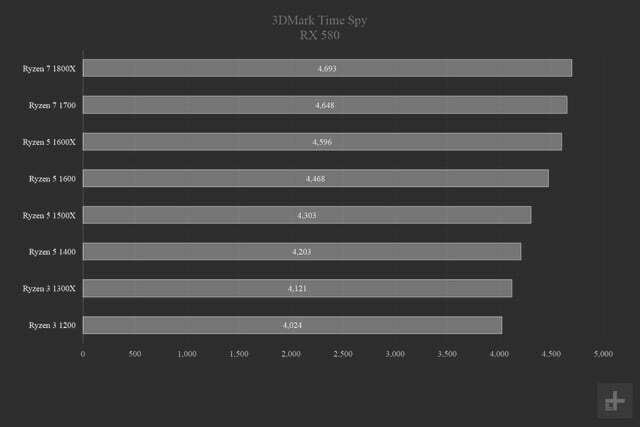 If you don’t plan to overclock, you could consider paying an extra $40 and get the 2600X, as it does provide a small performance boost. The big takeaway from AMD’s performance-orientated Ryzen CPUs is that they sport eight cores and thanks to simultaneous multithreading, 16 threads. That’s why these chips are some of the best for multitasking and productivity of any available today. 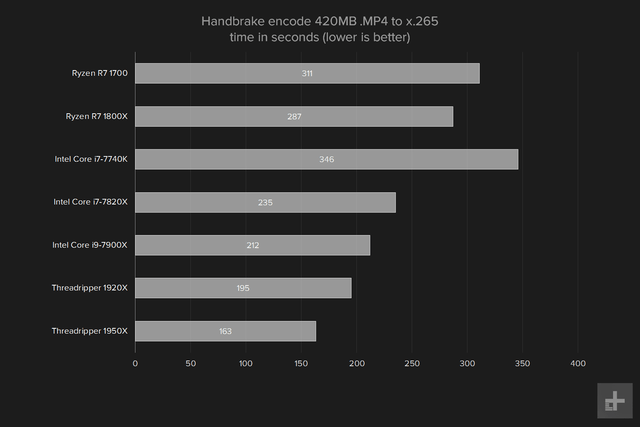 They are amazing at video editing or encoding and they’re pretty capable gaming chips too. 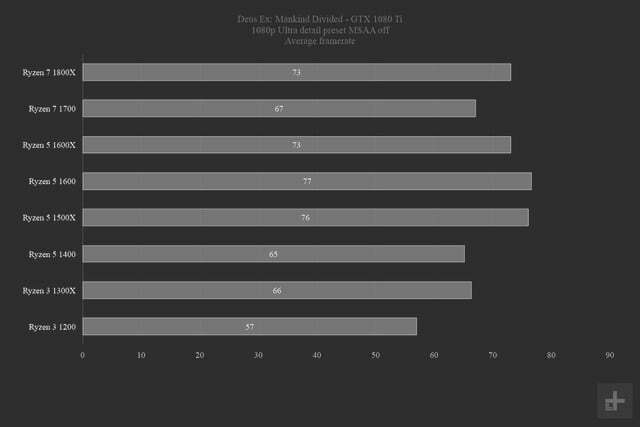 Much like the mid-range, AMD’s performance chips had a greater number of options with the first-generation. 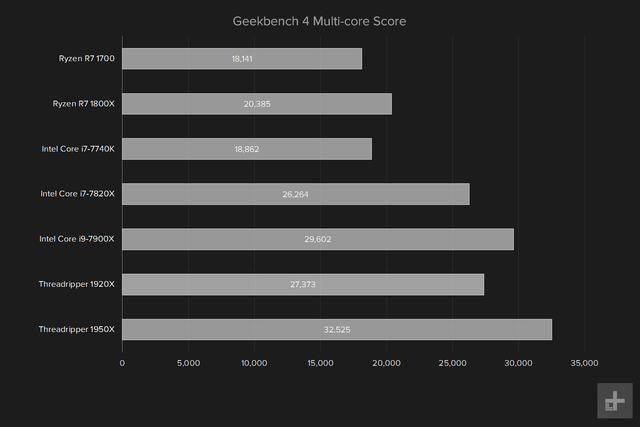 They include the 1700, the 1700X, and 1800X, while the second-generation offered just the 2700 and 2700X. The X designations offer a higher clock speed that can often be reached with some minor overclocking of the non-X models. Do note though, that the first-generation “X” chips do not ship with a cooler of their own. 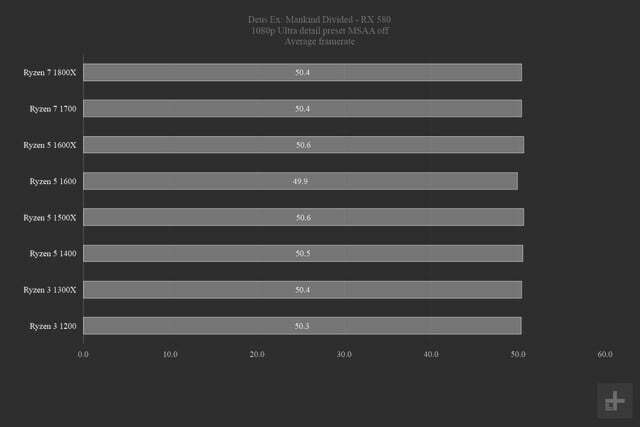 Although we don’t have direct results for the Zen+ chips, as you can see from the above results, the 1800X and 1700 make short work of their mid-range and entry-level counterparts. They’re pretty great in gaming too, although they don’t have a sizeable lead over the 2600 and 2600X in that regard, as the extra cores and threads are rarely fully utilized by modern games. Thanks to its higher clock speed and comparable price tag, the 2700X is the best performance-focused AMD Ryzen CPU you can buy right now, although if you can find a 1700X or 1800X at a reasonable price tag their performance isn’t far behind in most tasks. AMD’s high-end options take quite a leap in price and power over the performance section of the market, with more cores than most would know what to do with. Designated “Threadripper,” these super-powered chips offer eight cores at a minimum but can go all the way up to 32 for those who need enterprise-level performance for serious number crunching. 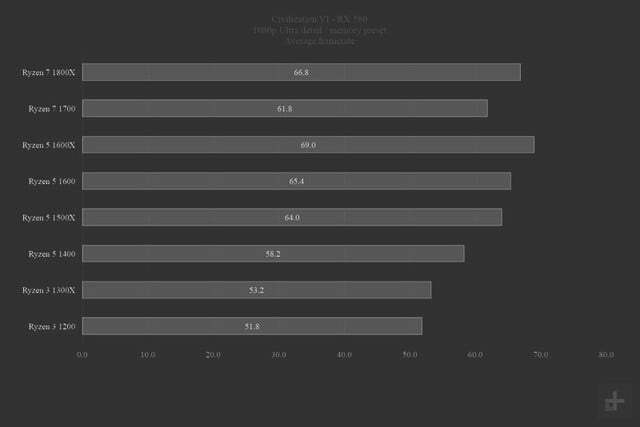 Although we don’t have hard numbers for the new chips at this time, our time with the first-generation Ryzen 1920X and 1950X (which have 12 and 16-cores apiece) showed just how capable these chips are when all of their cores and threads can be brought to bear. The Zen+ replacements for these chips, the 2920X and 2950X offer a few hundred megahertz extra clock speed, with the same core and thread counts, with prices set at $650 and $880, respectively. 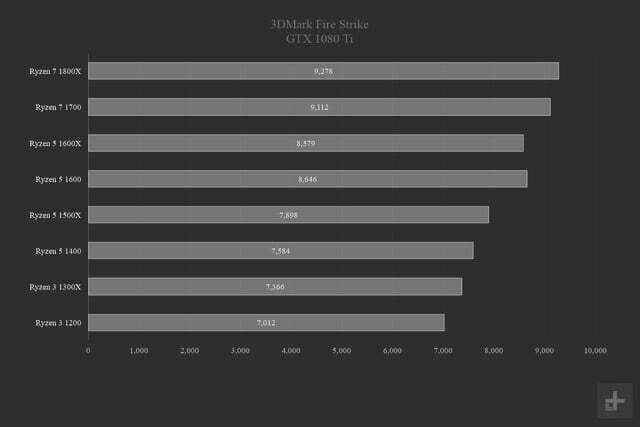 There are also even more expansive options in the form of the 2970WX and 2990WX, which are priced at $1,200 and $1,730 respectively. They come with 24 and 32 cores, and as with all Threadripper CPUs, support simultaneous multithreading, enabling a number of threads equal to double their core counts. Threadripper chips offer far greater gains in productivity than they do in gaming, and in some cases may even be slower than the 2700X in limited-thread titles, but if you want to work and play hard, these are the best chips AMD has to offer. 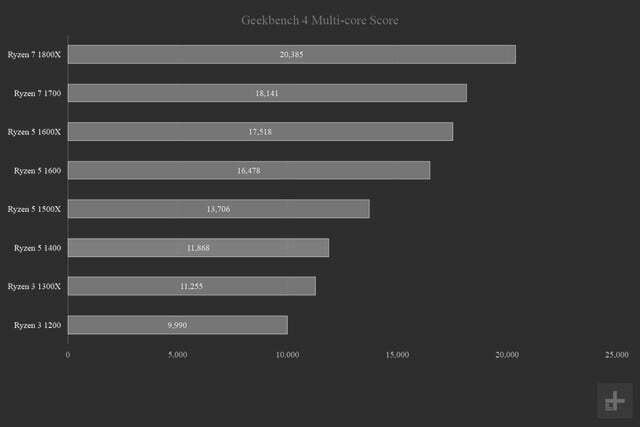 Since even the highest of high-end users are unlikely to take full advantage of 32 cores, we’d recommend the 2950X as the best of the current crop with its fantastic 4.4GHz clock speed and support for faster memory standards.